London Playwrights’ Blog is looking for an Editor! Are you a keen blogger with a flair for creating original content? Are you interested in supporting emerging playwrights? Then we want to hear from you! London Playwrights’ Workshop is seeking an Editor to oversee and expand the original content put out on London Playwrights’ Blog. The post is ideally suited to an experienced content writer/ blogger with a passion for new writing, who would like to gain experience of taking on the responsibility of an Editorial role. 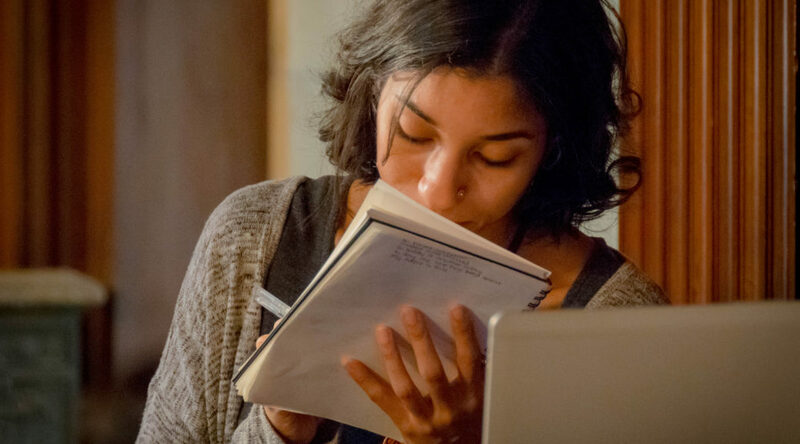 Whilst you don’t have to be a playwright to apply, you’ll need to have an in-depth knowledge of the challenges emerging writers face, so that you can create engaging content for our readers. About the job: The Editor will take a leadership role in programming and delivering all creative content for the London Playwrights Blog website. Designing and executing an editorial calendar of original content. Commissioning original content, liaising with writers to ensure content is delivered and editing their work. Working closely with the London Playwrights’ Blog team, you’ll be expected to produce your own original content and respond to the needs and interests of our online readers, and to create content which supports projects we are running. This is an exciting opportunity for someone looking for the opportunity to put their own stamp on the editorial voice of a digital publication. Key skills: Previous experience of writing original content is essential. The right candidate will have excellent editing skills and a sharp eye for detail, as well as the creative vision required to deliver engaging content that is consistent with our brand. You must be highly motivated and to be able to work to tight deadlines. You’ll also need excellent communication skills in order to work well as part of our team and the content writers you will be looking after. Previous experience of WordPress or other blogging software is necessary. An affinity for design and ability to use images and graphics effectively in their content would be highly desirable. You must be 18 or older to apply for this role. This post is unpaid, but you will get the opportunity to gain hands on experience in an Editorial role and to take on a high level of responsibility. The opportunity to put your creative stamp on LPB content and help steer the future direction of the blog. Access to a dedicated readership numbering of thousands. Experience commissioning content and working with other writers. A new platform for your own writing on London Playwrights’ Blog. An opportunity to expand your professional network, both online and through LPB events. First-hand experience working closely with the founders at a non-profit arts startup. The chance to make a genuine difference to people in the new writing community. Free membership to London Playwrights’ Workshop and free places on any workshops we run during your time in the post. Hours/Duration: 4-6 hours per week (approx). The hours are flexible and designed to work around other professional and personal commitments, as the majority of the work can be completed from home. As long as deadlines are met, you can work when you please! We are looking for someone who can commit to the role for at least six months and preferably someone who wants to make the role ‘their own’ and work with us on a permanent basis. Payment: unpaid. Work on our blog is currently unpaid and this also applies to this role. How to apply: Send your application materials to jobs@londonplaywrightsblog.com, including the job title in the email subject. Previous PostCAMP residential: Playwriting with John BurgessNext PostLPW: New members’ content for 2019!